In what is being hailed as a major victory for more humane treatment of animals in Australia, fast food giant McDonald's has announced that it will switch to using only eggs produced by free-range chickens throughout all 900 of its locations down-under. This move, which is expected to go into full effect by 2017, comes after months of steady campaigning by the animal welfare group Animals Australia. After closed-door discussions failed to sway McDonald's from buying eggs from caged chickens, the group enlisted the support of the public by informing them of the "cruelty" behind battery farming. As one the nation's largest purchasers of eggs, McDonald's uses around 91 million eggs a year - all of which had come from chickens kept in cages, conditions activists say is inhumane. Momentum came to a head last month after thousands of Animals Australia supporters donated to have a commercial air for one day on national television. The ad made a compelling argument for McDonald's to switch to cage-free - by letting kids do the talking. Within weeks, McDonald's Australia revealed on its Facebook page that they would be "working towards a move to cage-free eggs with our suppliers by the end of 2017." 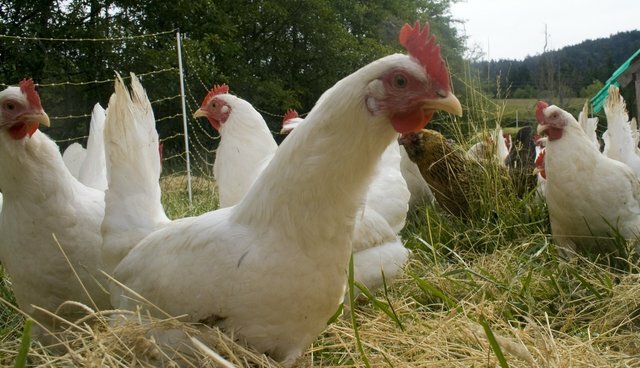 Moreover, to encourage its suppliers to welcome the change, the company also announced that it would absorb the cost of the transition to free range. "For responding to a concerned Australian public; for using your power to help end one of the cruellest factory farming practices; and for showing other fast food companies that it's time to free hens from cages - thank you McDonald's." McDonald's Australia now joins its counterparts in the U.K. and Europe, where battery farmed eggs have been out of restaurants since 2010. In the United States, the company has taken small strides by purchasing one percent of its eggs from free-range sources, though they've yet to commit to phase out eggs from caged chickens entirely.